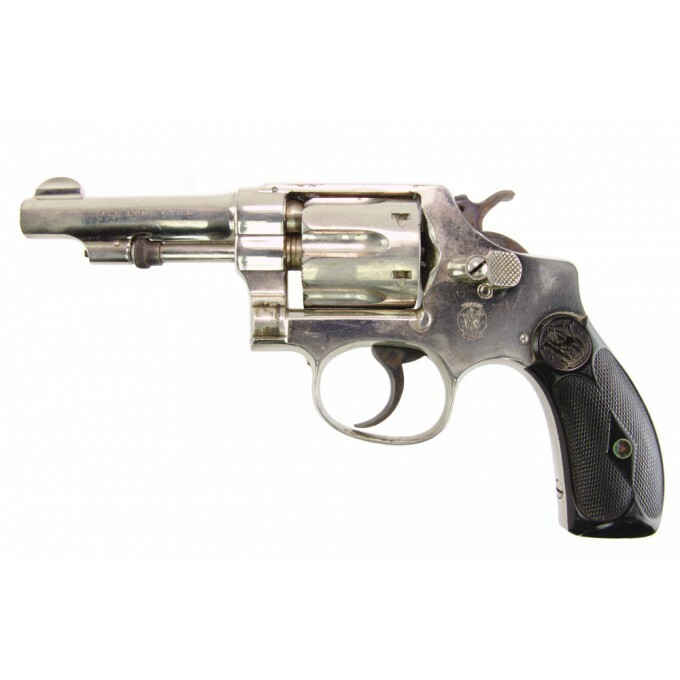 .32 Hand Ejector Second Model (Model of 1903 - 5th Change) Smith & Wesson revolver. 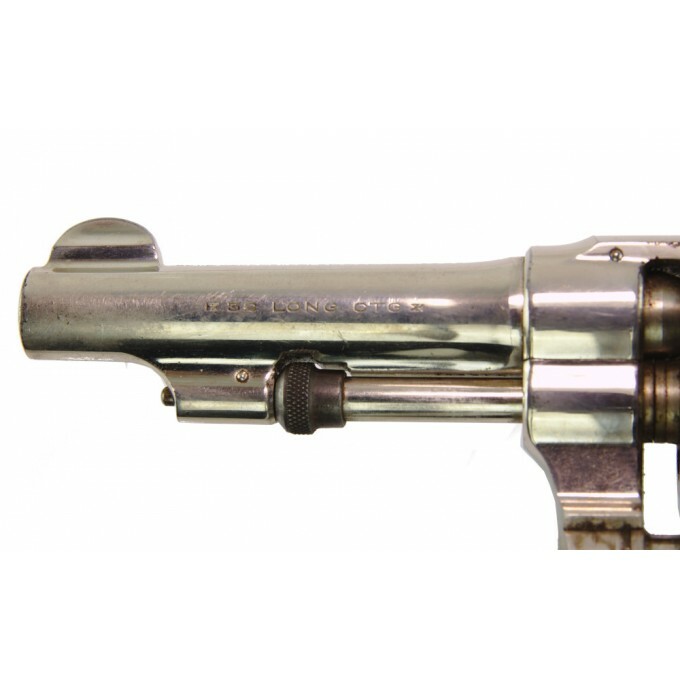 Smith & Wesson 1903 Hand Ejector - 2nd Model, 5th Change. This is a beautiful, rare and excellent example of one of S&W's earliest modern revolvers, and will make a super addition to anyone's collection. 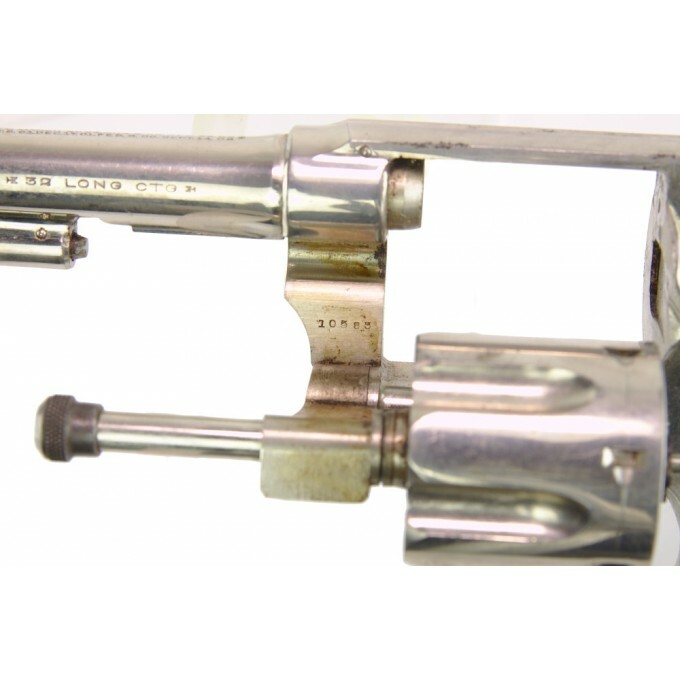 The BlueBook describe it as .32 Hand Ejector Second Model (Model of 1903 - 5th Change) - .32 S&W Long cal., 6 shot fluted cylinder, 3 1/4 in. barrel, nickel, black rubber grips. The 5th Change serial range begin from 102,500 till to 264,856 and was produced from 1910 to 1916. This means that the pistol we're selling belongs to the 1910 production. The latest patent date on top of the barrel is Sept. 14, 1909. The condition is excellent considering the age. - blade front sight and no rear sight. 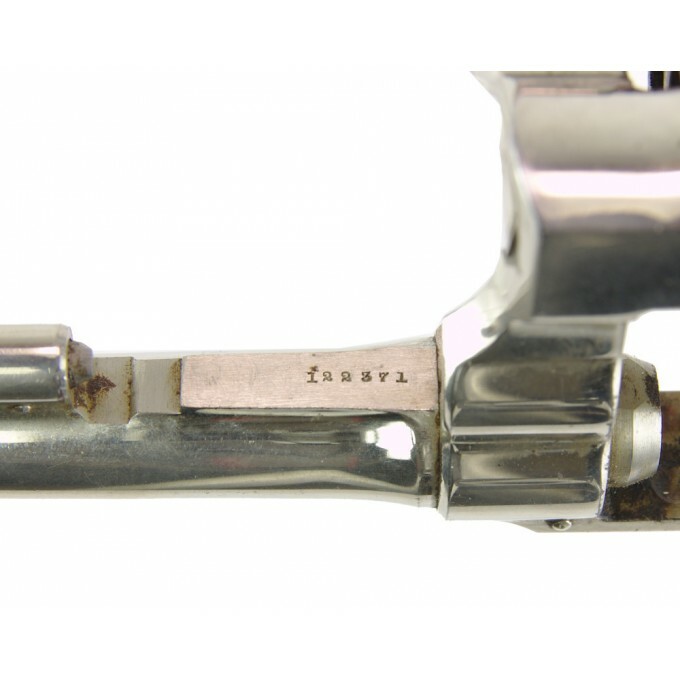 - it has four screws in the side plate and one screw in front of the trigger guard. 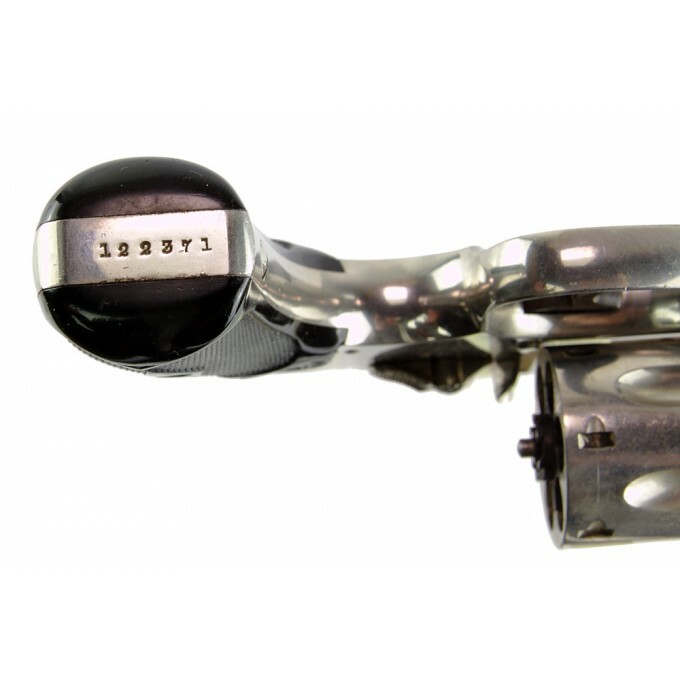 The revolver retains the original finish with nickel in great shape with minor wear on muzzle crown and inside the cylinder frame. 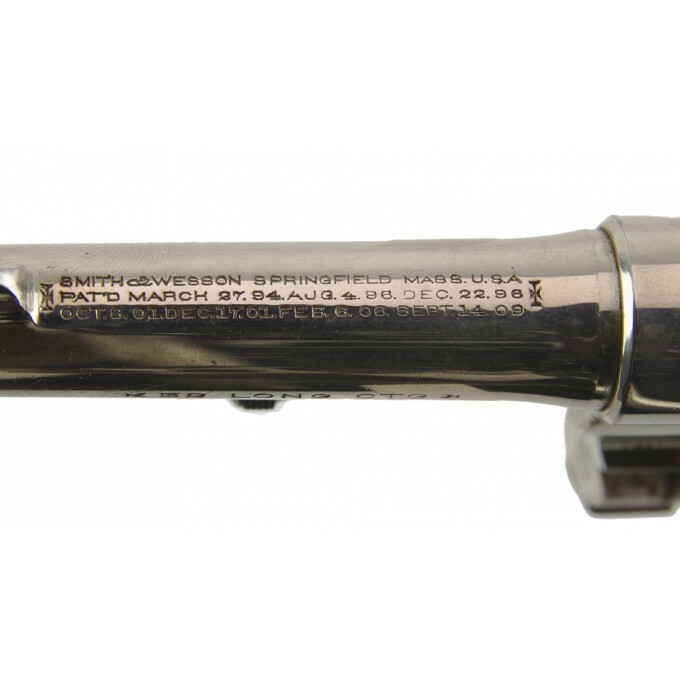 Serial number 122371 is stamped on the bottom of the barrel, on the bottom of the grip frame and on the rear face of the cylinder. On the yoke is stamped 10583. 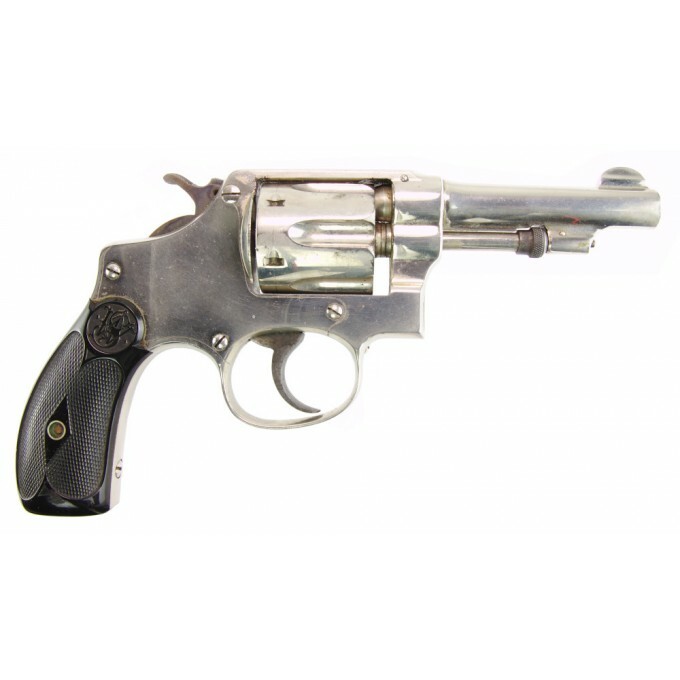 Born in 1896, the small I-frame Hand Ejector was very first Smith & Wesson modern revolver and the only concealed handgun in Smith’s lineup. 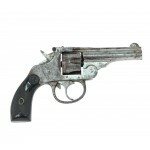 From 1896 to1942 about 300,000 of these pistols were sold. 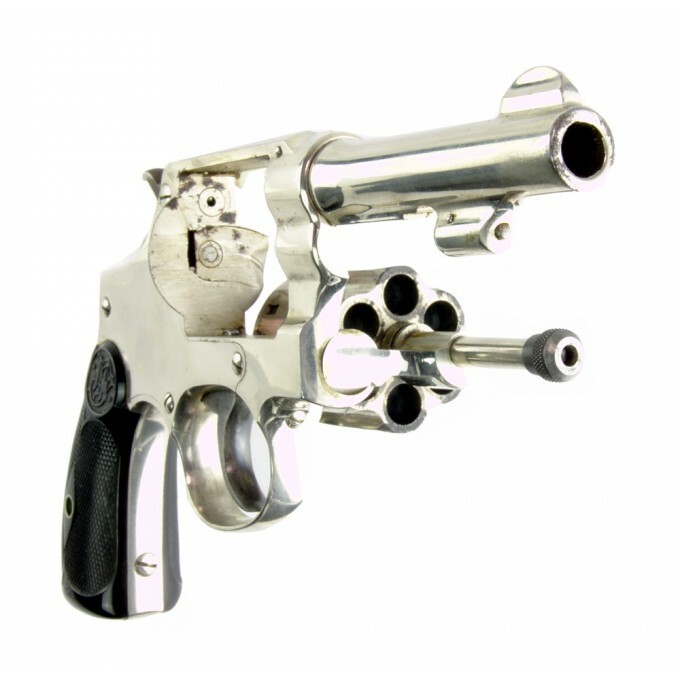 The .32 S&W Long cartridge was introduced in 1896 with the first Hand Ejector model and was loaded with black powder. In 1903 was adopted a new cartdrige loaded with smokeless powder capable to reach the same chamber pressure. 8.25 mm - 3 1/4 in. 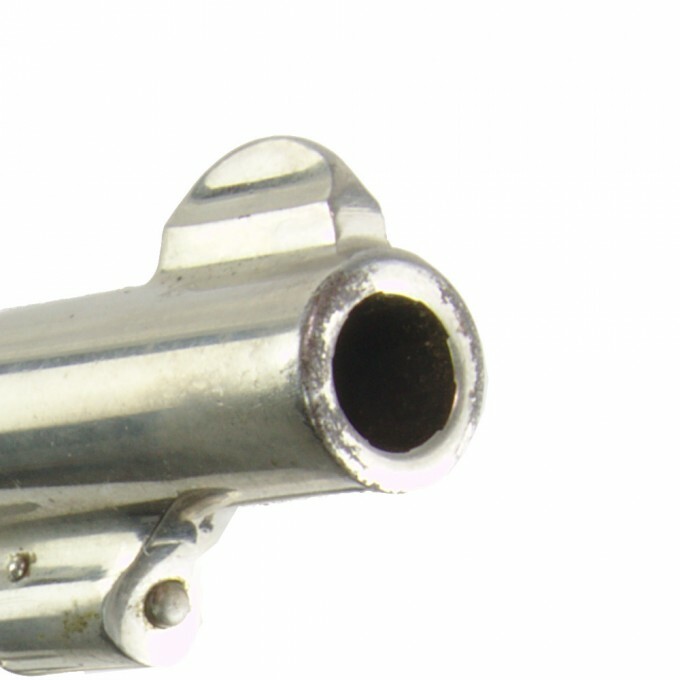 Thames Arms Company Top Break .32 caliber revolver. 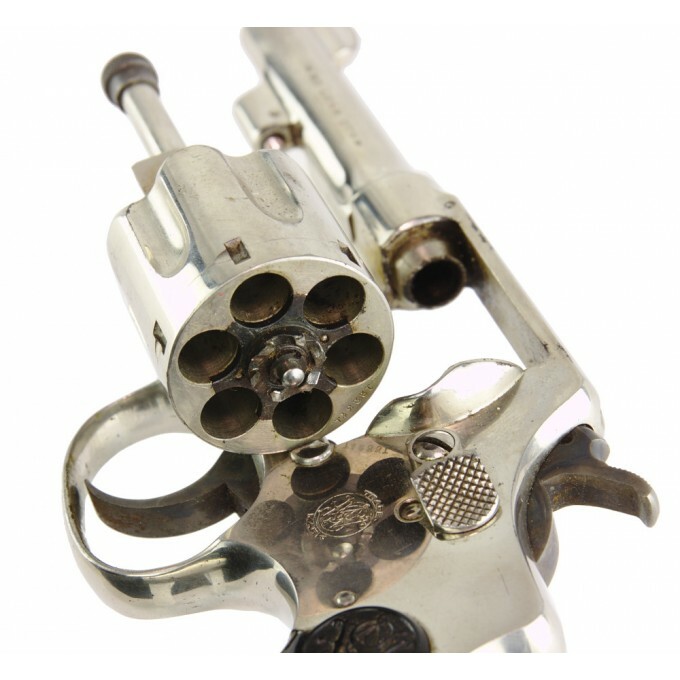 Antique top break revolver in good me..